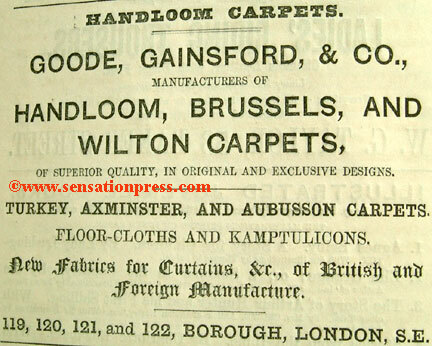 Handloom, Brussels and Wilton Carpets. An advert published in 1863. Manufactured and Imported by Thomas Bontor. 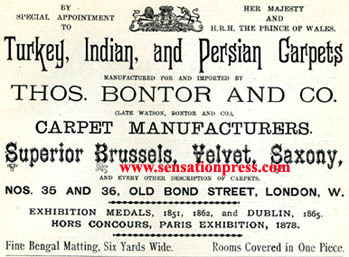 The oldest established importers of oriental carpets. Guaranteed genuine eastern hand-made fabrics. An advert published in 1891.